I haven't made a card in a very long time...boy did it feel good to be crafting again! I made this card today using Noble Deer Stampin UP stamp set. Had this stamp for years and never really used it. I was going to color the image but decided to leave it plain. The mat for the deer was cut out using cricut george cartridge and the inside was done with cricut storybook cartridge. 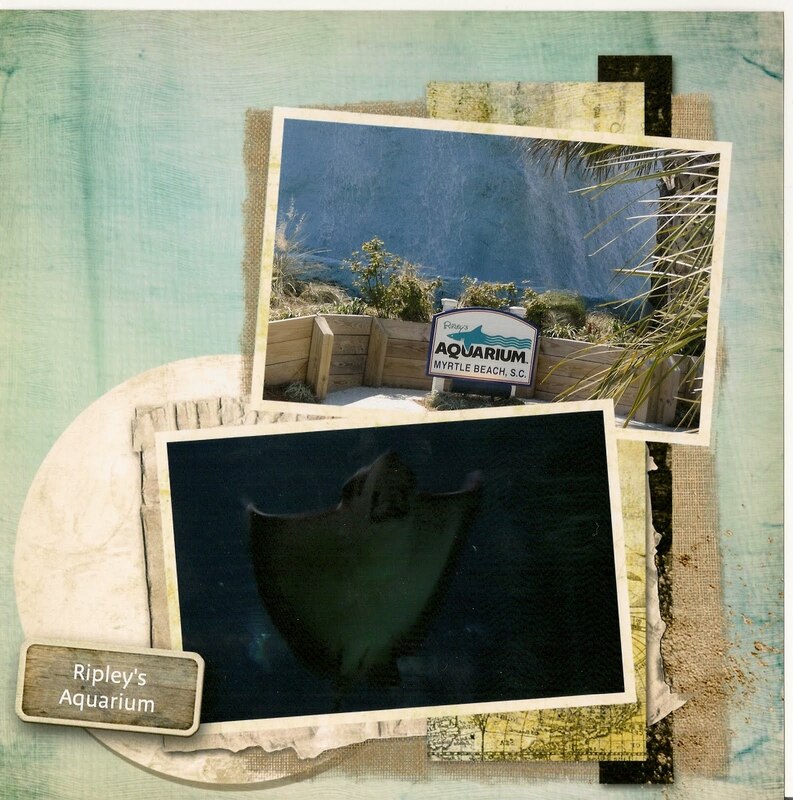 It is a rainy day here in Upstate New York, actually it's been raining for days so I decided to scrapbook. 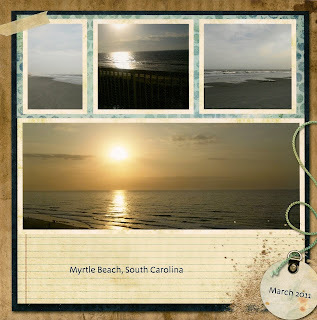 This is from my trip to Myrtle Beach in March of this year. 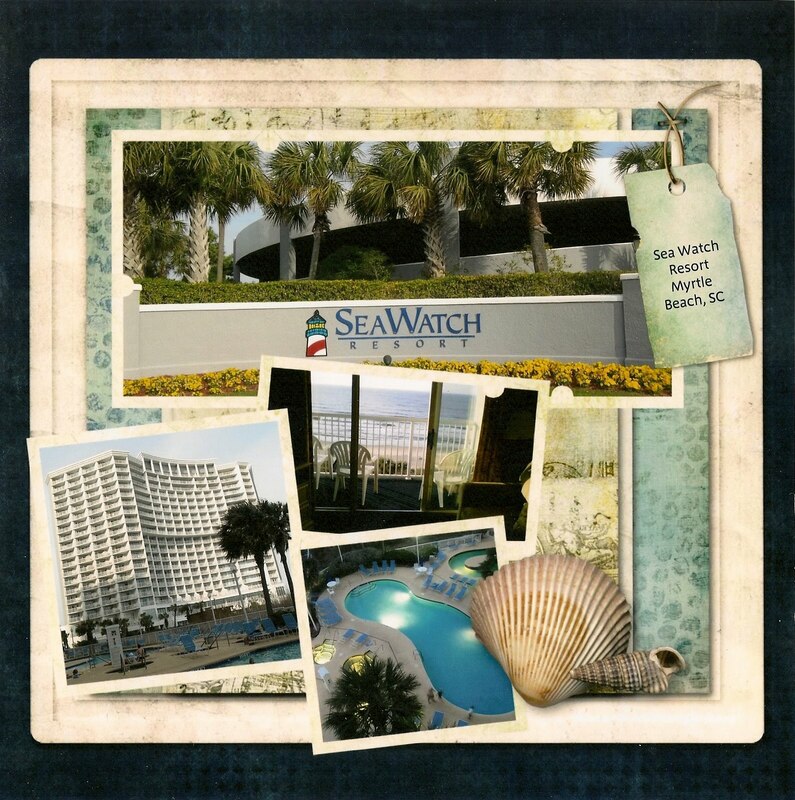 We stayed at the Sea Watch Resort (gorgeous resort). 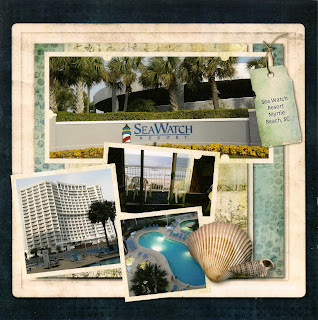 The title is actually from a brochure from the resort that I scanned and reprinted. The Light house Die cut is from my sweet friend Lestina. All paper used is Brazzill Basics Paper (blind date and string of pearls) The stickers on page 2 of the layout are cardstock stickers from Paper House Beach line. Remember you can always click on the picture to enlarge it to see more detail. 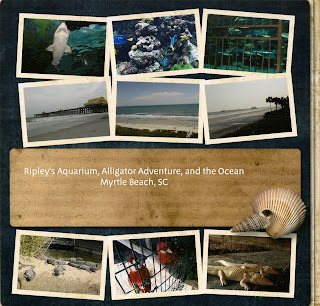 This will be the title page that leads to the Alligator Adventure Scrapbooking pages. There will be several more layouts from Alligator Adventure. The cute little Alligator is a diecut that my friend Lestina made and sent me. The Alligator Adventure words are cut out using Cricut George Cart. 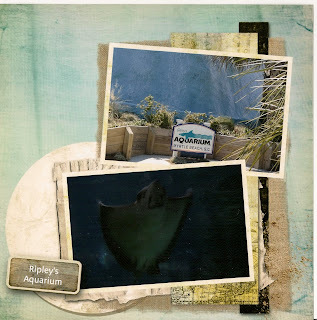 Paper is Brazzill Rainforest and Safari and the letters are cut out using DCW Safari Chic paper Stack. 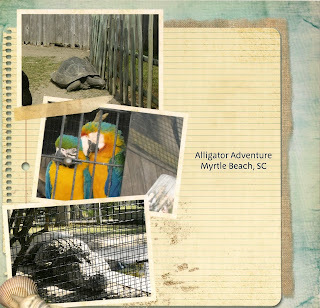 This is part one of a 2 page layout. I love this picture, it was taken from the balcony. The picture here doesn't do it justice. You can see the actual picture here. The pattern paper used is from DCWV Summer Paper pack (believe the pack is from 2009 - 2010) The solid paper is Brazzill Mango. The word BEACH and seashells are a Jolee Sticker and the palm trees are from my stash and I don't recall the manufacturer. These pictures were taken the other day when my sister came over to visit. She is such a gorgeous young lady. I love these pictures of her. All paper used is Brazzil cardstock. Dimensonial stickers are Sticko Recollections. This is page one in my traditional scrapbook album from the March 2011 Myrtle Beach vacation. I blocked out the bottom left picture for my friends privacy. These pictures were taken at Alligator Adventure (there will be more Alligator scrapbook pages to come). All paper used is Bazzill (thanks to the lovely sale Michaels had today) and the parrot in the top right hand corner is a Jolee sticker. 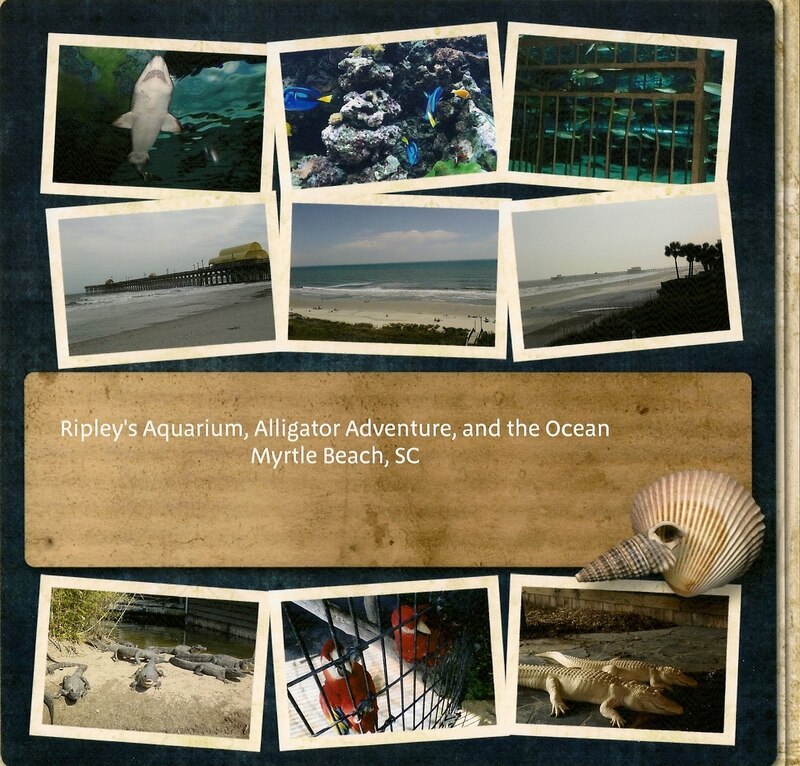 The nice thing is you can send the images to Walgreens, CVS or Walmart to be printed in either 6x6 or 8x8.